Studies show that the human body’s temperature drops by up to 2 degrees when we sleep. This temperature drop helps the body to rest and reenergize. Only then are we able to experience deeper sleep. Whether it is a summer night, or you are a hot sleeper, or you are running a fever, consider using an electric cooling pad to keep your body at optimal temperatures through the night. 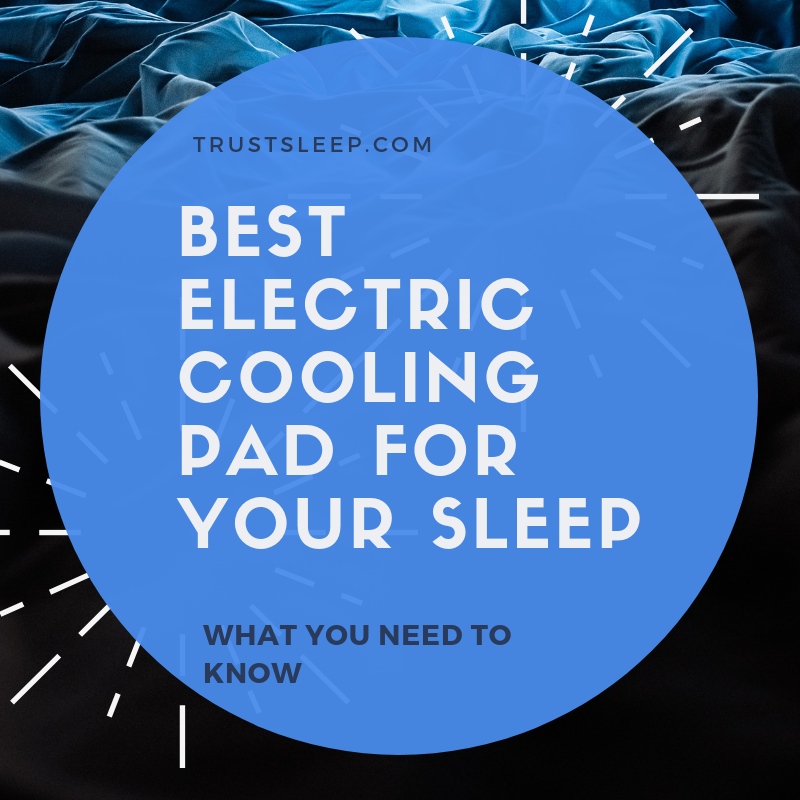 In this article, we will review the best cooling pads in the market and give you tips so you can cool off and get a great night’s rest. What Is An Electric Cooling Pad? What is a cooling pad? These are thin layers of cooling pads attached to the mattress or pillow. They are also commonly referred to as mattress cooling toppers or covers. Cooling pads are made from a specific fabric that boosts your bed’s heat regulation abilities. These materials include gel infused memory foam, latex, bamboo, and cotton. They also employ unique technology that heightens air circulation on your bed. Now that you know what an electric cooling pad for your body is, do you need one? If you lack sleep due to too much heat or sweating at night, then using an electric cooling pad for your body is a great idea. Similarly, if your mattress or pillow tends to trap heat instead of circulating it away from your body, these cooling pads will come in handy. One other important reason why you might need an electric cooling pad is if you and your partner have different temperature preferences when you sleep. Additionally, most of these cooling pads for the body have other additional benefits for better sleep including relief of pressure points. Their fabric tends to be made from hypoallergenic material that can protect your skin against irritation due to the heat. The Perfect Sleep Pad Mattress Pad with Heating and Cooling is a simple yet effective electric cooling pad for body. It circulates cold water in your mattress and hence keeps you cool all night. The pad has two separate control units that can be employed to set different temperature zones for a couple according to their preference. It is available in six different sizes to fit a twin, twin XL, Queen, King, Double, and a single bed. The manufacturer of this product offers a 90 days money back guarantee for customers, making this a fantastic choice. The Perfect Sleep Pad Mattress Pad with Heating and Cooling is machine washable, and it is ideal for both cooling and warming. It is our top recommendation for an electric cooling pad for you. ELEGENCE-Z Double Air-Conditioning Cool Ice Pad is a phenomenal, enormous cooling pad. It keeps the mattress temperature low by running cold water via its water cooling system. It works like a car radiator – the cold water circulates as it picks heat from the mattress and along the way, that heat is dissipated to the environment and the process repeats. In other words, this cooling pad circulates cooling water currents throughout the night. The tubes circulating the water around the mattress are well placed. You won’t feel them underneath you. 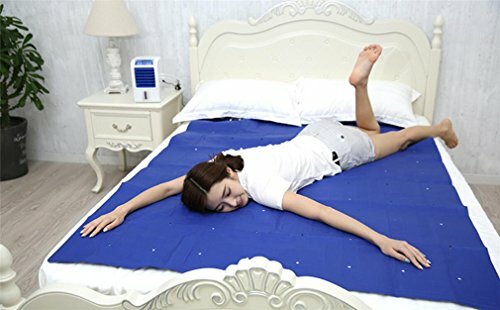 This cooling pad can lower the temperature of your mattress by up to 8 degrees below the room temperature hence an ideal companion for summer nights. Once fully charged, the ELEGENCE-Z Double Air-Conditioning Cool Ice Pad will keep its low temperatures for up to six hours. It has a power back up to cater for any unforeseen power outages. 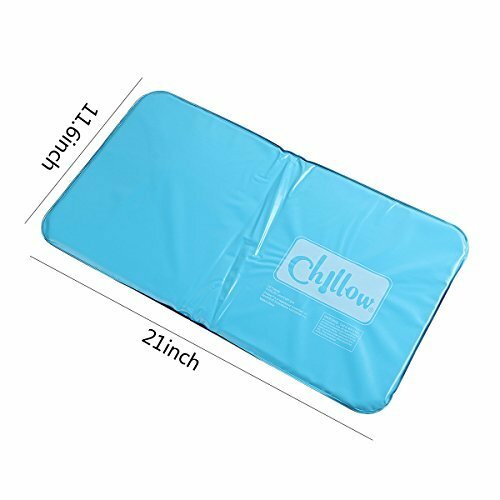 This is another fantastic cooling pad for your body. Great Bay Home Hypoallergenic Cooling Mattress Pad uses a microfiber cover with polyester fill to regulate the temperature of your mattress. These fibers are breathable, hypoallergenic, and machine washable, therefore, suitable for people with sensitive skin. They are available in four different sizes, and they retail with additional pillow protectors. The cooling pads extend up to 18 inches deep forming a firm fit all around the mattress. Great Bay Home Hypoallergenic Cooling Mattress Pad is an excellent cooling complement to memory foam mattress. It is also convenient for persons experiencing sleep issues and having trouble cooling down. The Cool Therapy Cooling Pillow Mat is an easy-to-use pad that slides below your pillow to give you uninterrupted sleep on a hot night. It uses water to achieve the optimal sleep temperature. The pad is made from lightweight cotton blend fabric, hence easy to carry when traveling. Keep it refrigerated for a few minutes for that additional chill and use it to cool inflamed areas on your body. The mat is soft and comfortable. It fits most pillow sizes. Because it is so small, it is easy to use and travel with. We recommend this if you are looking for a small, simple to use cooling pad. If you are prone to staying awake due to being too warm to fall asleep, consider using the Cool Care Technologies Cooling Pillow Gel Pad. 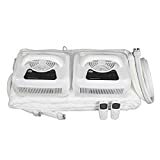 It is placed under your pillow, and it utilizes Pressure-Activated Gel Technology to achieve the optimal sleep temperature. Cool Care Technologies Cooling Pillow Gel Pad keep you cooled for up to three hours. 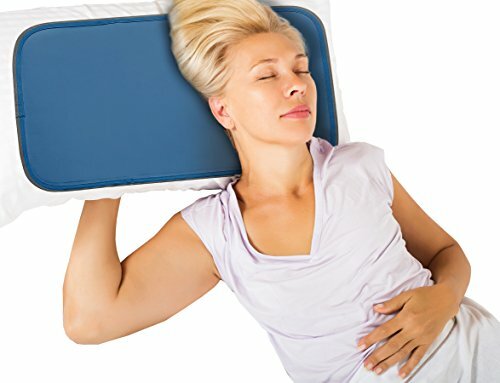 It is available as either a body pad or a pillow pad. Due to being lightweight and having a convenient size, this pad is convenient for travel. 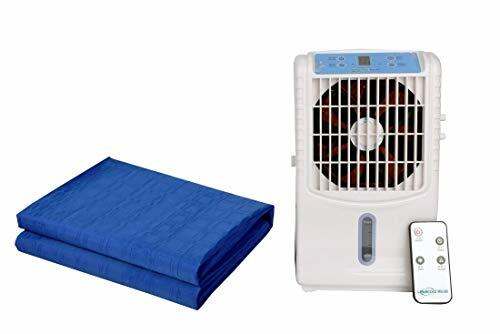 Cool Buddy Remote Controlled Classic Cooling Mattress & Pillow Pad is a remotely controlled electric cooling pad for both your mattress and pillow. It circulates water around the mattress and pillow to achieve an optimal sleep temperature. The mattress topper measures 55 inches by 63 inches (there is another slightly smaller pad for smaller beds). The pillow cover measures 12 inches by 24 inches. As a couple, you have an option of purchasing a double pad set for the pillows and set different temperatures according to your preferences. This makes Cool Buddy Remote Controlled Classic Cooling Mattress & Pillow Pad a fantastic option when you have different temperature needs. These sizes ensure a firm-fitting finish all around the mattress and pillow. Besides, these cooling pads utilize less than six watts per hour all night. This energy saving feature is a plus for persons trying to cut down their domestic power utility bill. This cooling system, easy to maintain, carry, and use. When buying an electric cooling pad for your body, ensure you check for the following key features. When considering picking up an electric cooling pad for the body, it is crucial to consider the material and technology used to achieve the cooling effect. Gel-infused foam – This pad combines the orthopedic benefits of memory foam with the cooling effect of gel to give you uninterrupted sleep. Choose this cooling pad depending on your preferred firmness of the memory foam. Latex foam – These pads are made from rubber trees’ sap. However, due to the expensive nature of pure latex, most manufacturers blend the latex with some synthetic fiber without compromising on its quality. Latex foam is known for its firmness. Down/Feathers – These cooling pads especially for the pillow, are extraordinarily soft and lightweight. When purchasing feather or down based electric cooling pad for body, ensure you check the indicated percentage concentration of the feathers. This is indicated on the packaging. The more the feathers concentration, the better the sleeping pad. Wool or Silk – These two fabrics have strong moisture wicking properties, which ensure you sleep cool and dry all night. Besides, silk is naturally super soft. Cotton or Bamboo – These two fabrics are highly breathable, which results in a natural cooling effect. Most electric cooling pads utilize water, gel or another medium to cool the mattress or pillow. 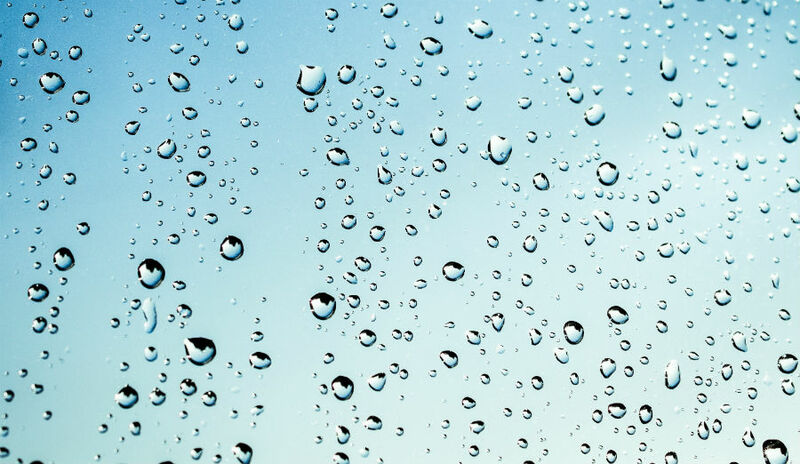 Water is generally the cheapest and most convenient cooling system. Whichever the technology used, this should never compromise on your comfort. In addition, water-based cooling pads should be leak free and easy to refill. What is the lowest temperature that your cooling pad can achieve? The lower the temperature gets, the better the cooling effect. By using electricity to control the optimal sleeping temperatures, an electric cooling pad for body performs better than other similar products. However, this advantage should not translate into paying hefty power bills. When buying these cooling pads, compare the power wattage consumption indicated on the packaging and select the one that utilizes the least energy. Just like any other product, when you are shopping for an electric cooling pad for body, you should aim at getting value for your money. Consider all the desirable features you get from the cooling pad and compare them with similar products before making your final purchase. Another key indicator of quality is the warranty or replacement policy offered by the manufacturer. Go for those with an extended warranty period if possible. Tight fitting cooling pads stay in place even when you shift positions while sleeping. Some even come with an elastic fastener that firmly holds them around the mattress or pillow. Q. What causes my bed to get hot? 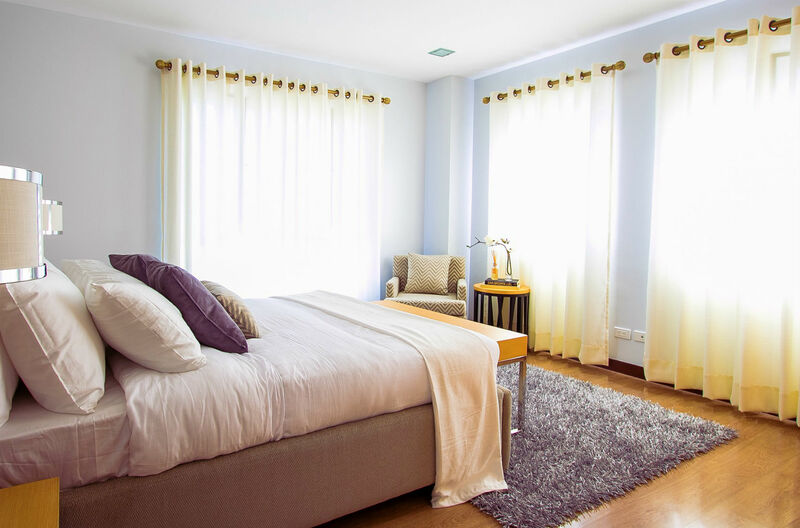 Your bed could be getting uncomfortably hot because of warmer room temperatures, poorly ventilated mattress or pillow, or because of your body’s tendency to sweat and heat up at night. Q. My mattress has a mattress topper already. Do I have to replace it? Not necessarily. Refer to the buyer’s guide and confirm that your current mattress topper has the desirable features. Should your mattress cover fall short in any of the features sought, it’s time to replace it with an electric cooling pad for the body. Q. Can I use these cooling pads on my orthopedic pillow? Possibly. Read the manufacturers directions for the specific electric cooling pad you are considering. Q. Apart from the cooling effect, are there any other benefits of using an electric cooling pad for body? Yes. Cooling pads can help you fall asleep and stay asleep faster, which has a huge variety of benefits. Q. How do I take care of my electric cooling pad? Most electric cooling pads are machine washable. Follow the manufacturer’s instructions on how to use, clean, and store your cooling pad. Get an expert to repair your faulty cooling pad. In the case of water leaks, do not connect the cooling pad to the charging unit. Q. Where should I purchase an electric cooling pad? Some of our readers have asked us about where we think they should purchase an electric cooling pad. They have asked us about Bed Bath & Beyond, CVS, and even Walgreens. We think you should purchase your cooling pad on Amazon.com. 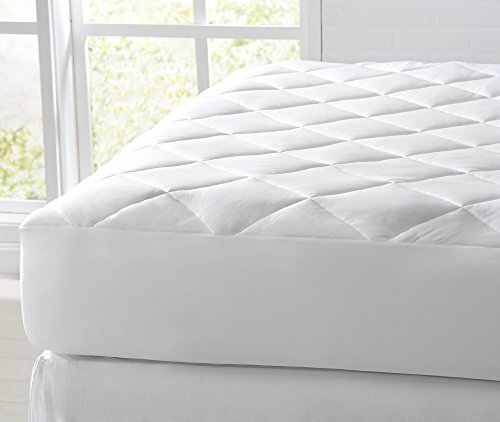 Click here to go directly to the product page for our top recommendation, Perfect Sleep Pad Mattress Pad with Heating and Cooling, on Amazon.com. There you have it – If you have been struggling with overheating or trouble falling asleep consider getting an electric cooling pad for your body. With the above guide, this should now be easy for you. We hope you have found this article useful and we hope you enjoy your electric cooling pad. ← How To Keep Spiders Away While Sleeping: What Really Works?